When will be De Haven van Rotterdam next episode air date? Is De Haven van Rotterdam renewed or cancelled? Where to countdown De Haven van Rotterdam air dates? Is De Haven van Rotterdam worth watching? Every Dutch person knows that Rotterdam is one of the biggest harbours worldwide, but how does it operate? Discovery brings you a detailed look of the harbour''s behind the scenes in a place where 175.000 employees are working. Every episode will handle a different aspect of this impressive harbour which has a length of over 40 kilometers and welcomes 128.000 ships on a yearly basis. 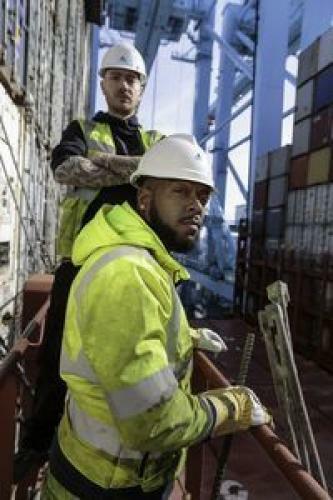 De Haven van Rotterdam next episode air date provides TVMaze for you. EpisoDate.com is your TV show guide to Countdown De Haven van Rotterdam Episode Air Dates and to stay in touch with De Haven van Rotterdam next episode Air Date and your others favorite TV Shows. Add the shows you like to a "Watchlist" and let the site take it from there.